I had a blast hanging out at the National Association of Music Merchandisers (NAMM) convention this January with my dear friends John & Barb Kagerer of Alaska Music & Sound. My first job (other than my sub-zero Alaska morning paper route) was apprenticing in band instrument repair with John. I’d never been to NAMM before and I went to do research for the music care product I’m developing (more news on that in 2017). NAMM was a trip! The convention center and hotel were overflowing with every kind of music making device you can imagine. There were great musicians showing off gear, testing out gear, and just hanging out. 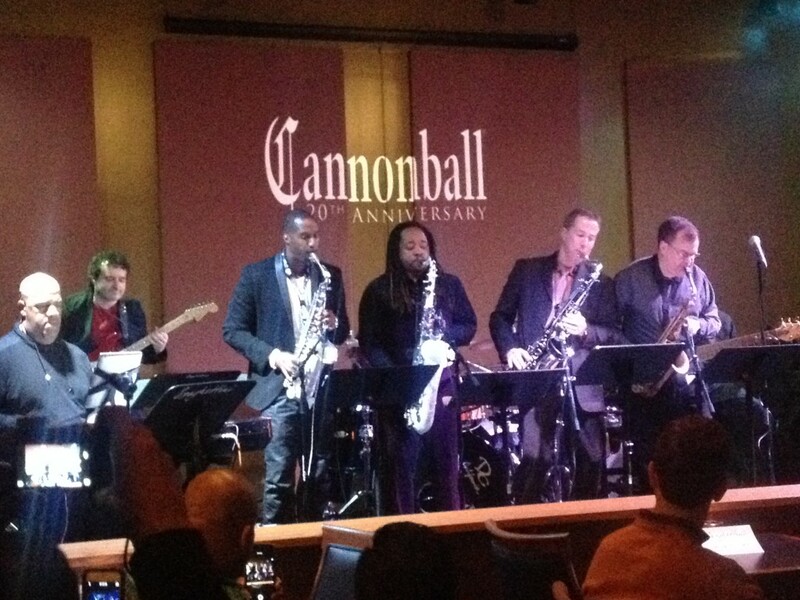 I met a ton of new friends and hung out a Cannonball Musical Instruments 20th Anniversary Celebration featuring a mega jam with Najee, Gerald Albright, Keith Anderson, Elan Trotman, and more. I was blown away by Elan Trotman‘s and Vince Norman‘s playing, Najee’s inspiring flute chops (I had no idea), and stunned at how Gerald Albright’s altísimo playing got more crystal as the night went on! Thanks again to Tevis and Sheryl for welcoming me to the Cannonball family. 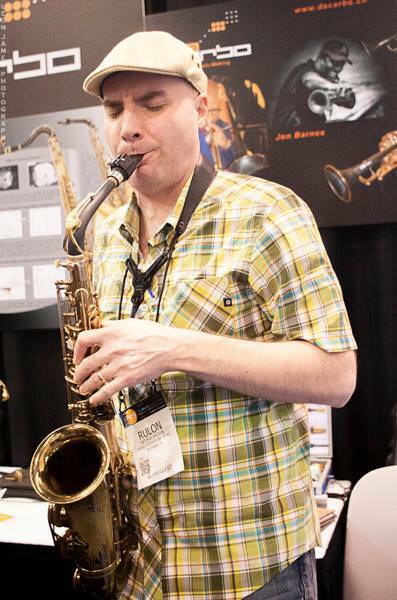 Leon James, who hosts DCBebop.com jazz page, snapped this pic of me at the daCarbo booth while I was testing out their carbon fiber alto sax neck. I tested this for quite a while going back and forth between my Mark VI neck. The daCarbo free’d up the harmonic spectrum in pretty stunning ways and made the horn speak very full and centered at volumes of MP or louder. I am eager to see what they do next. All told, NAMM was an amazingly loud, spectacle-filled few days and I’m glad I went. Check it out if you can. It’s a great perspective into the products side of the music industry.